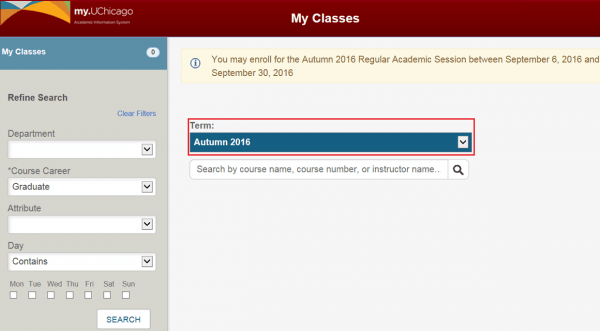 Select the corresponding registration quarter to initiate the class search. 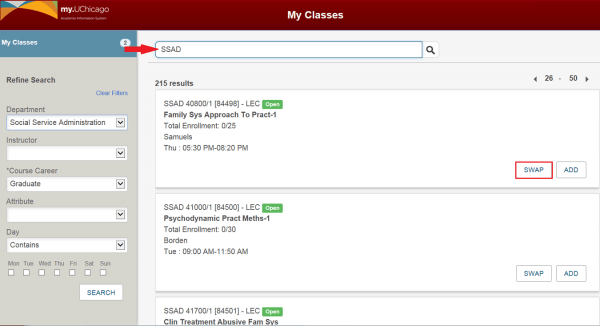 Enter a “Value” in the Search Box and click the magnifying glass. 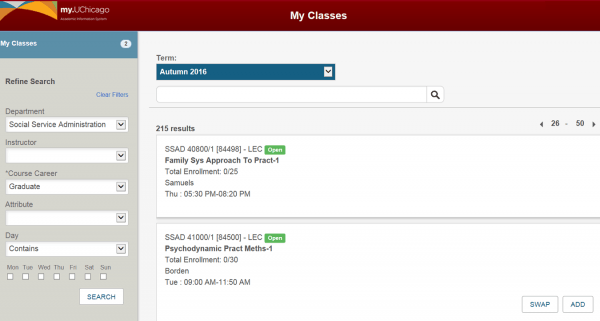 Use the filters on the left side of the page to narrow the search results by: Department, Instructor, Course Career, Course Attribute, or Days. 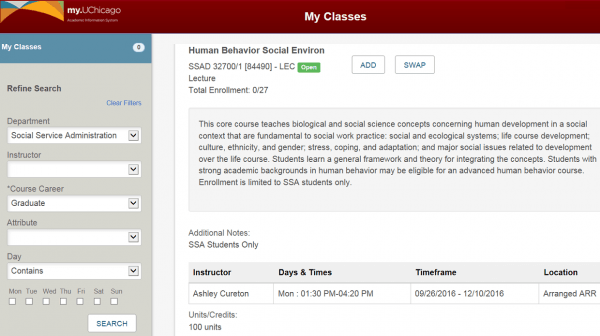 Click the course box to view details of a class. 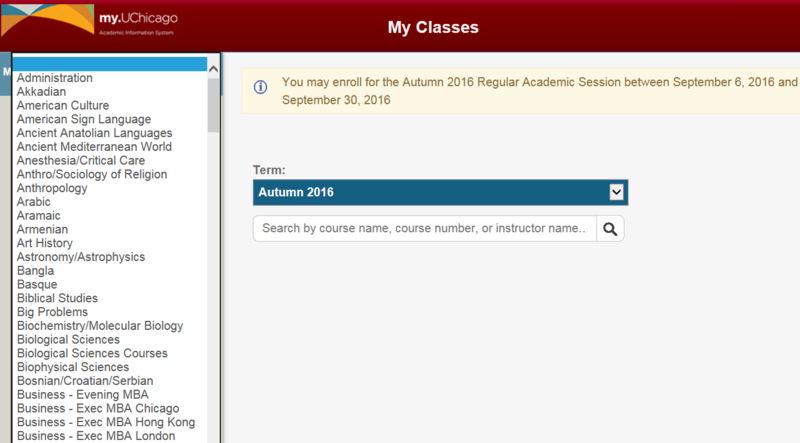 Details include the course description, number of seats, instructors, evaluations, additional notes, prerequisites, crosslisted courses, etc. Click the “Add” or “Drop” button next to the desired class. 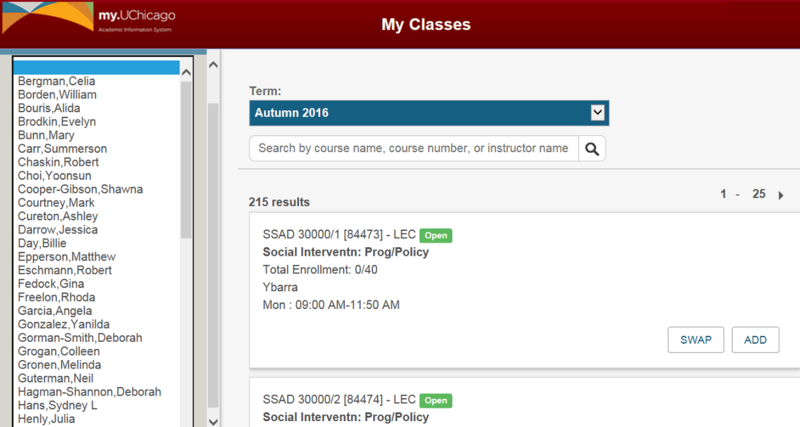 The My Classes counter increases or decreases as courses are selected or removed. Click on My Classes tab to view a list of all registered classes. 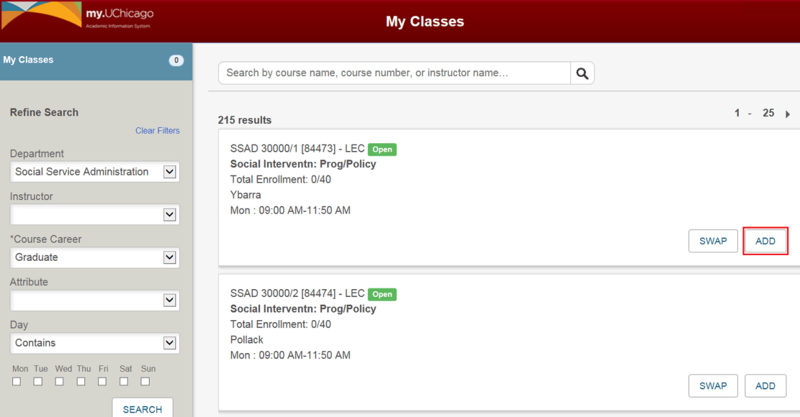 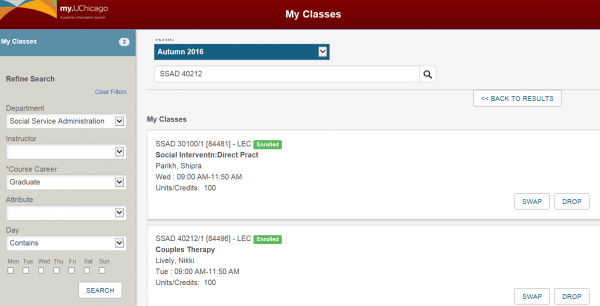 After adding the class to your schedule, the class will appear in the My Classes tab. 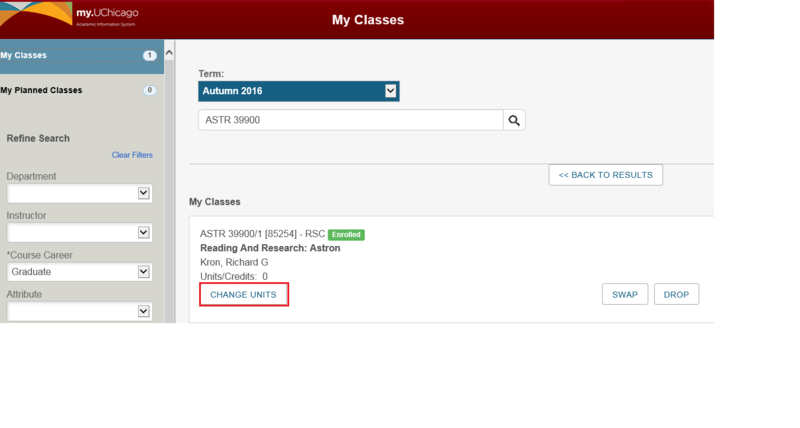 Click the “Change Units” button to adjust the units. 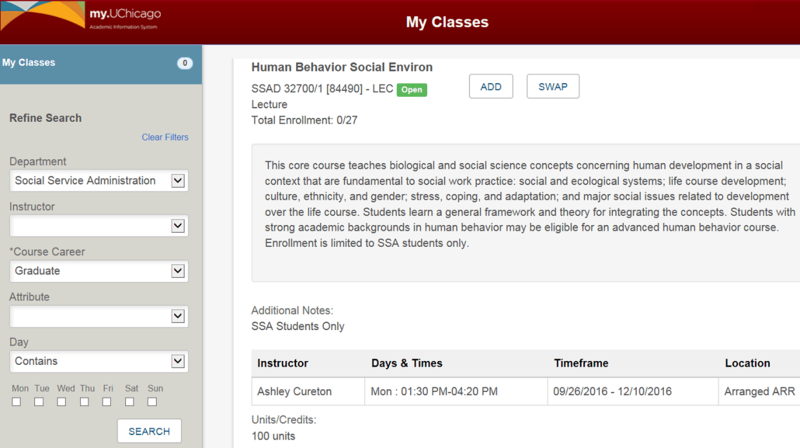 Click the “Edit” button to confirm the units. My Classes will automatically update with the selected units. 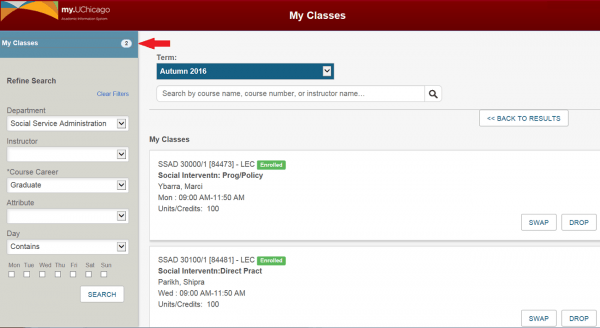 After adding the class to your schedule, the class will appear in the My Classes tab. Click the “Swap” button on the class that you wish to swap. Search for the desired class. Click “OK” to verify the swap of sections. My Classes will automatically update. 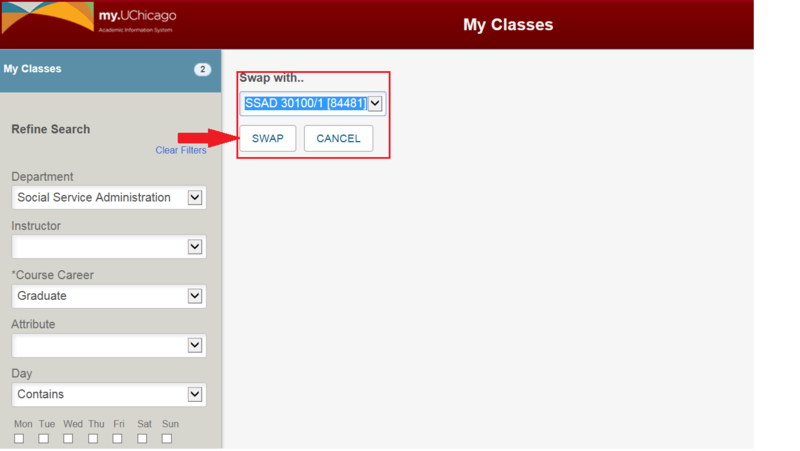 Search for the desired class and select the “Swap” button of the class to be registered into. From the dropdown menu of currently registered classes, select the class that you wish to swap out/drop. 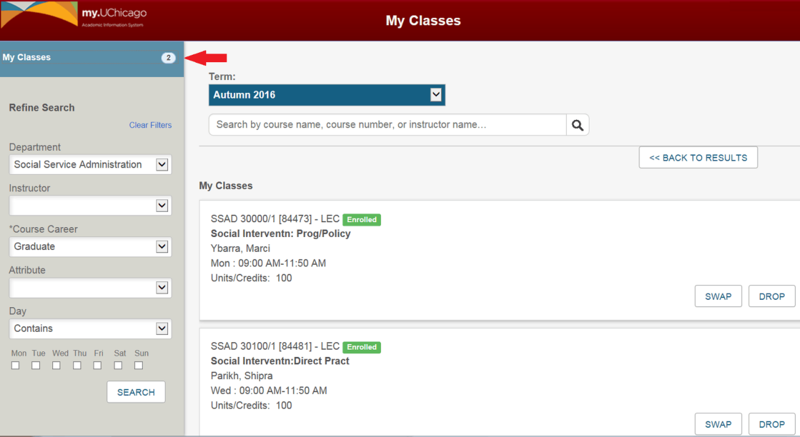 Once you have selected the course that you wish to swap out, click on the Swap button. My Classes will be updated.